Many of us have not reached the the point in our lives where we are trying to reverse the effects of father time and because of this we may not know what much about the company Allergan. Allergan is the company that makes Botox, a prescription drug that is injected into the skin to help alleviate wrinkles. But this is not all they do, Allergan is a $53 billion pharmaceutical company with an inventory of products ranging from headache to glaucoma medication. 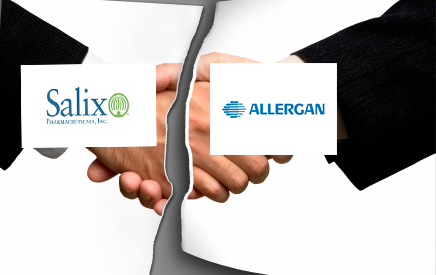 Recently Allergan was in talks to acquire Salix Pharmaceutical Ltds, a company that specializes in a bowel medication, but during the due diligence Allergan spotted something that threw the deal off. This key detail that ended the acquisition of the $9 billion company was inventory. Salix management seemed to have misjudged how much inventory they had and had overstated the amount sold. This meant that Salix has a large amount of inventory on hand, which we know is one of the most expensive asset of a company, that they could not sell to make revenue. Another problem with this is that these products were finished goods meaning that they were not raw materials or even work in progress products so this prohibited them from re-purposing the drug. The effects of inventory is profound. The effects of a misjudged inventory estimate is devastating. In this case not only has Salix lost the chance to pay back stakeholders by being bought out by a large corporation such as Allergan, Allergan may have lost it’s chance to protect themselves from a takeover. Allergan is in the midst of being taken over by an even bigger pharmaceutical company, Valient Pharmaceuticals International Inc. The acquisition of Salix was suppose to make them too expensive to be taken over, but because of this inventory mistake they are ripe for the taking. As shown above inventory is a major factor in a company, whether they want to be bought out or are just running their daily operations. The management of inventory is crucial to a companies daily operations in that the company needs to have enough inventory for the demand but not too much that a company does not seem liquid enough. The company also needs to balance the right amount so that their financial standings are not in question. Not only do managers need to understand how inventory needs to be ordered they need to what type of inventory needs to be ordered. Balancing inventory is something that will take a lot of experience and knowledge to achieve , hopefully we all reach a point in our careers where we are at this level. Do you think Allergan should not have put so much weight on the inventory of Salix ? Are you surprised that Allergan did not go through with the acquisition of Salix if it meant they would not be taken over? 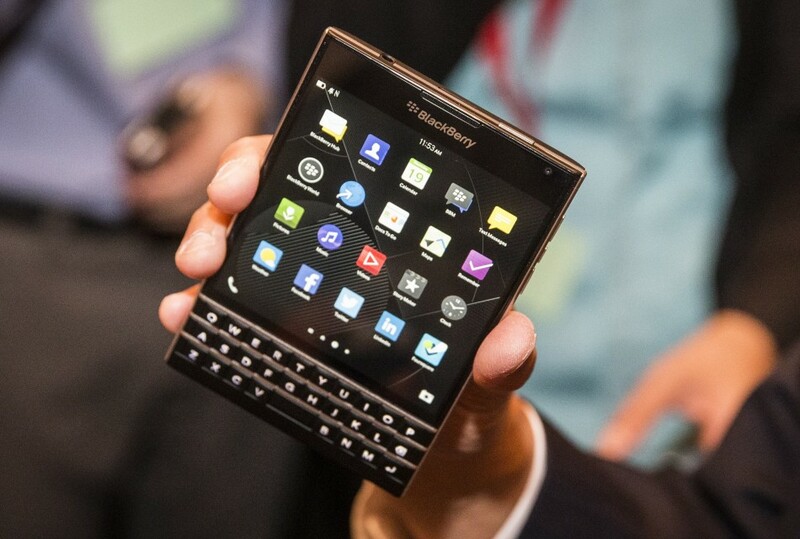 Blackberry has released a new phone called the Blackberry Passport. It boasts a large square screen and, of course, a physical keyboard. With another attempt by Blackberry to regain its former glory I thought it would be interesting to see how the Blackberry product got to its present point in its evolution. When the Blackberry was first introduced it filled a void in the market. Until the Blackberry was introduced in the late 1990s, there were no products that allowed people to send emails through their phones. The growth of the Blackberry came when it implemented a phone application to the device. Now the device was able to make phone calls, text, and send emails, thus making it incredibly popular among professional. These were the strengths that Blackberry kept focusing on to continue the growth of the product. As the product reached its maturity other phones began to emerge as competitors for the Blackberry. The most notable competitor was the original iPhone. With its innovative touch screen and product design the iPhone quickly became a more popular phone than the Blackberry. While the iPhone was gaining market share Blackberry did not innovative enough to keep up with the iPhone and quickly the products sales began to decline until it became an afterthought in the mobile phone industry. Introductory Phase – Even before the Blackberry was launched it took many changes until a final, market ready product could be released. As with any other products in the introductory phase many changes will need to be made until the product is ready to be released. Growth Phase – When the Blackberry reached the growth phase it was the most popular phone for professionals. And just like other products in this phase demand is high and the companies with products in this phase to supply the demand. Maturity Phase – The maturity phase saw the Blackberry facing many competitors one of which was the iPhone. In this phase a company needs to have other high innovative products to compete with the competitors. Decline Phase- This is the end of the product and companies begin to withdraw resources away from them and focus on other products. Do you think the Blackberry Passport can help Blackberry regain market share? If you were an operation manager how important would product design be for you?